As you can see, I’ve got my ads set to run 2pm-12am Sunday through Thursday. 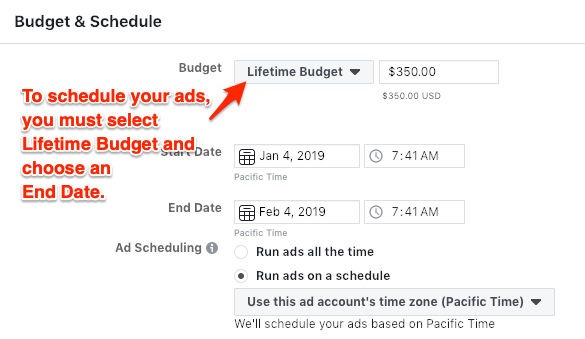 Under the “Run ads on a schedule” radio button, select Use this ad account’s time zone. 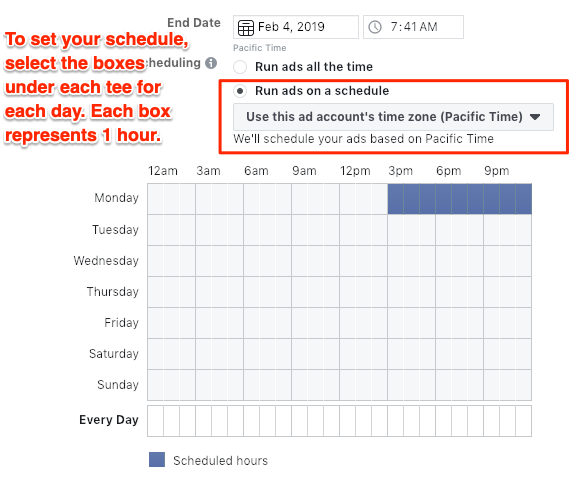 The data you’re going to find in Google Analytics will hopefully be in the same time zone as your ad account, and that’s what you’ll use to determine the schedule. The answer depends on what the objective for these particular ads is. If you’re running a campaign to try to sell something, you’ll need to think about the buying trends of your customers. For example, I make the most sales of Absolute FB Ads on Sundays and Mondays. Why? I’m not 100% sure, but what I do know is that the people who buy that product are really serious about using Facebook ads the smart way. (Otherwise they’d just keep Googling for the answers to their questions.) That investment shows they’re really committed to the success of their Facebook ads, and they probably want to start the week off on the right foot! That’s anecdotal evidence, and it’s good enough for me to decide to run remarketing ads to people who have seen the Absolute FB Ads sales page, but only on Sundays and Mondays. If the objective of your campaign is list building, however, you can find more concrete data about what time your people tend to subscribe inside Google Analytics. 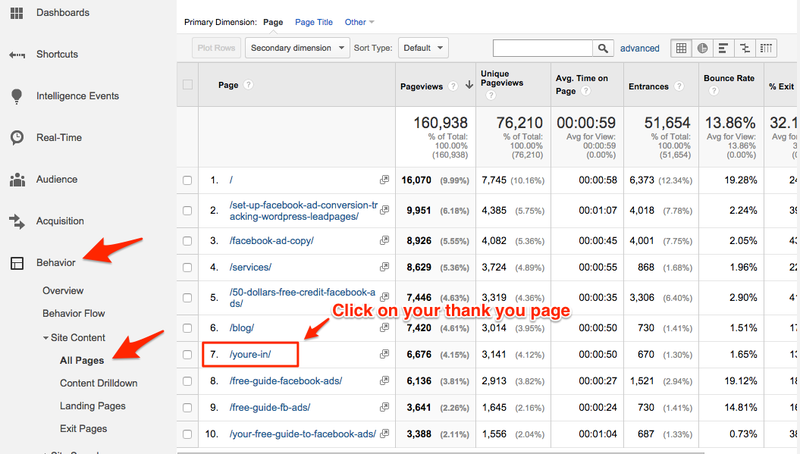 Open up your Google Analytics account. Think back to when you created this opt-in, and open your dates that far back until today. Now click on Behavior and All Pages. Find the slug for your thank you page in the list and click on it. If you don’t see it in the list, add more rows to the bottom. 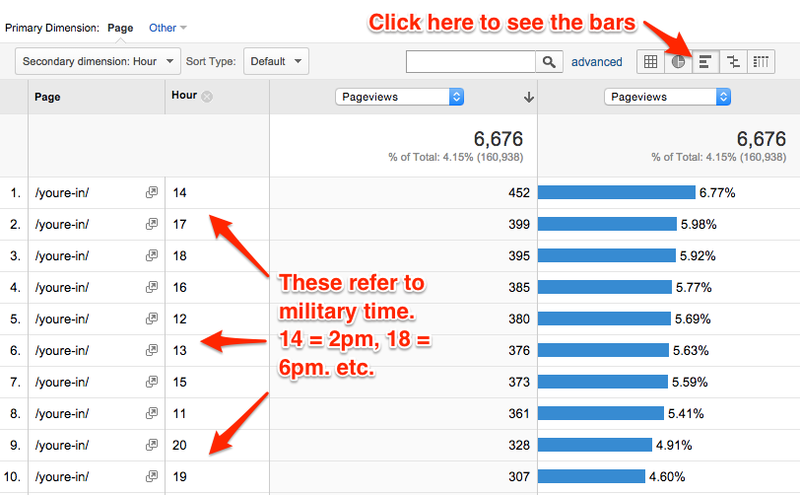 Now click on Secondary Dimension and type in the word “Hour.” When you see Hour in the drop down menu, click on it. Take a look at the report. It’ll show you the number of people who have landed on your thank you page (which means they’ve signed up for your list) sorted by hour of the day. As you can see, my biggest sign up time is 2pm (or 14 hour). In fact, my best times are all in the afternoon. Sure, plenty of my subscribers sign up earlier or later in the day as well, but I’m not interested in running ads to every single person who MIGHT sign up for my list. I want to spend money on the people who are most likely to convert, so I choose to run my ads primarily in the afternoon. But what I want you to keep in mind is that Facebook ad traffic may behave differently than other kinds of traffic. According to the data above, Friday is my 3rd best day for sign ups. However, my conversion tracking has told me on a consistent basis that my ads tank on Fridays. Why? 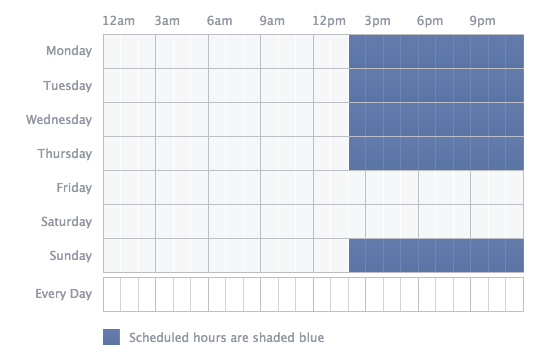 People probably aren’t interested in learning about Facebook ads right before they start their weekend (whereas they ARE gung-ho to learn on Mondays as I mentioned above). Make sure you’re paying attention to the context of your numbers, and not just cold data. 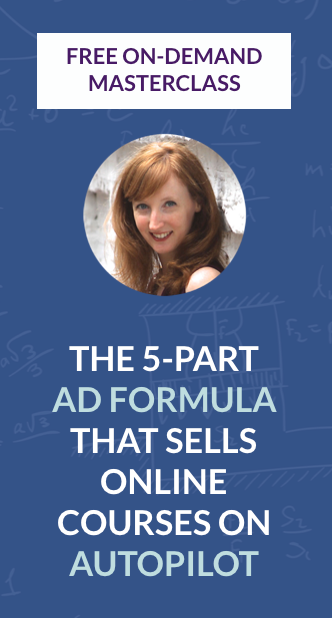 Are you clear on what ad strategy to use to actually make more sales in your business? 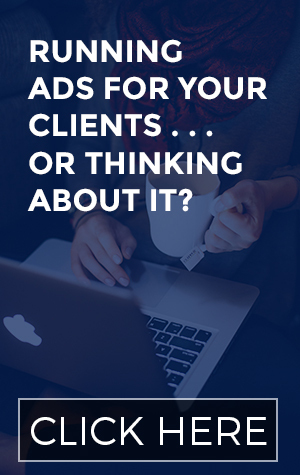 Yes, running ads at certain times can help you grow your audience and make more sales, but only if you go into it with a clear understanding of why you’re promoting each thing, and where it fits in the bigger marketing picture.